Equity Property Manage-ment (Pvt) Limited has handed over its 53rd project ‘Equity Bandhan’ to the clients through a ceremony in the city’s East Nasirabad area on Sunday. Vernacular local daily ‘Dainik Azadi’ Editor Abdul Malek was the chief guest at the ceremony. 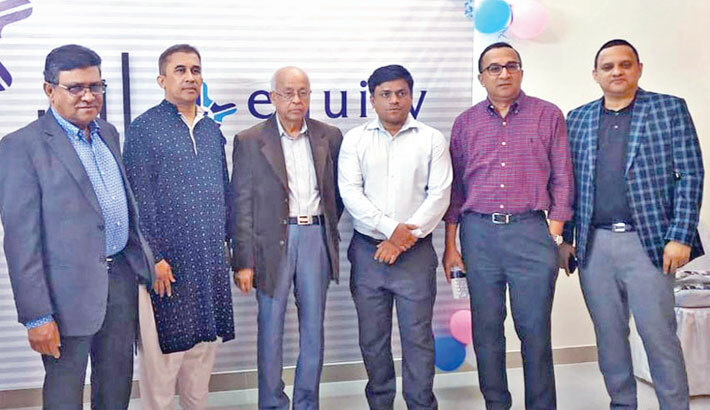 Addressing the ceremony, the company Managing Director Kazi Aynul Hoque said Equity has been developing standard apartments using modern and environment-friendly materials. The new project also developed keeping necessary facilities for the clients, he said adding that handing over of a project also develops a new relationship with the buyers. One of the land owners Md Mohiuddin addressed the ceremony while the company Director Mahfuzul Hoque, Head of Sales SM Jahirul Alam Jewel, DGM (Customer Service) Kazi Siraj Uddin and AGM (Customer Service) Amatul Khair also attended it among others.